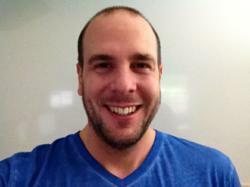 James Schramko, CEO of SuperFastBusiness.com, discovered a revolutionary conversion page-generating software called LeadPages and has since used it in his own websites and featured it in the review site BuyWithBonus.com. In his latest podcast, Schramko speaks to Clay Collins, co-founder of software developer LeadBrite, about updates and popular new applications of the technology that online marketers everywhere are finding especially helpful in business. LeadPages enables website owners to create “conversion pages” capture pages, landing pages, launch pages, sales pages, and many others in just a few minutes with a few simple clicks. The software is popular for requiring “no geek speak or nerd knowledge” and enabling newbies and advanced users alike to create, edit and deploy pages without touching a line of programming code. One notable new feature of this landing page software that is proving to be popular with marketers is the Facebook integration function users can publish their landing pages to Facebook with the click of a button. “Whats really cool about (this feature) is that … with cold traffic, and even with warm traffic, opt-in rates are higher in a lot of cases when the same traffic is sent to the squeeze page that funds Facebook versus on your own site,” says Collins. Users can also send Facebook ads to their own sites or send people to a tab on a Facebook page that was created with LeadPages, and Facebook will charge less for the ad display as well as for clicks. Plus, the social networking site will be more likely to approve an ad and a user’s page if it’s already within Facebook; all these serve as significant advantages for online marketers. Clay Collins will be a featured speaker at Schramko’s upcoming Fast Web Formula 4 live event taking place in Sydney on June 13 and 14. The event brings together entrepreneurs, intermediate to advanced marketers, affiliate marketers, e-commerce store owners, digital agencies, and other members of the Fast Web Formula Internet business forum coaching community. “Im going to be talking about simple tweaks that people can implement in their business to double the efficacy of their lead capture pages … and it is my intention that each one of the several tweaks that Im going to be sharing is going to more than pay for peoples attendance at the conference,” says Collins.